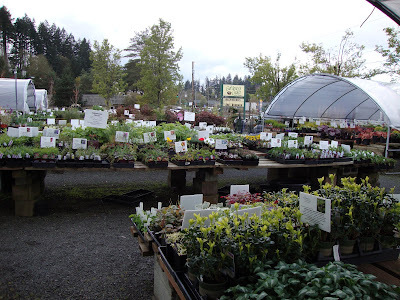 The most recent stop on my 2010 Unemployed Portland Area Nursery Tour was The Gardener’s Choice in Tigard, OR. 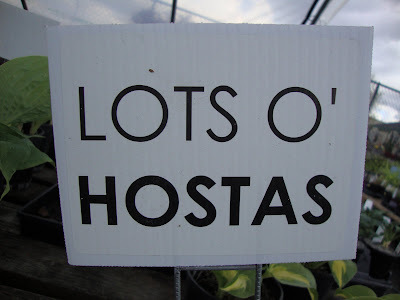 I hadn’t heard of this nursery until my former coworker, and graphic designer friend, Andrea mentioned it. 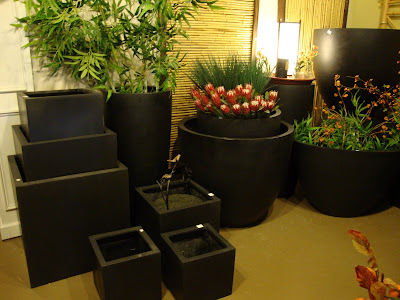 Then in a comment on a recent post Jared mentioned it was a great source for containers. Since I was going right by it in-route on an errand I decided to check it out. Jared was right. This place has containers, lots and lots of containers. Every color, shape, size and material that you can imagine. 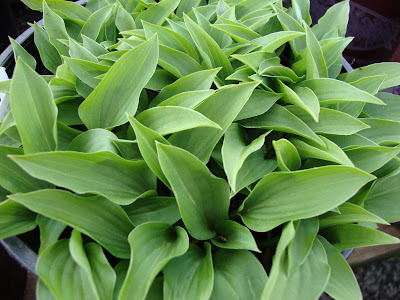 Including this miniature Hosta venusta. 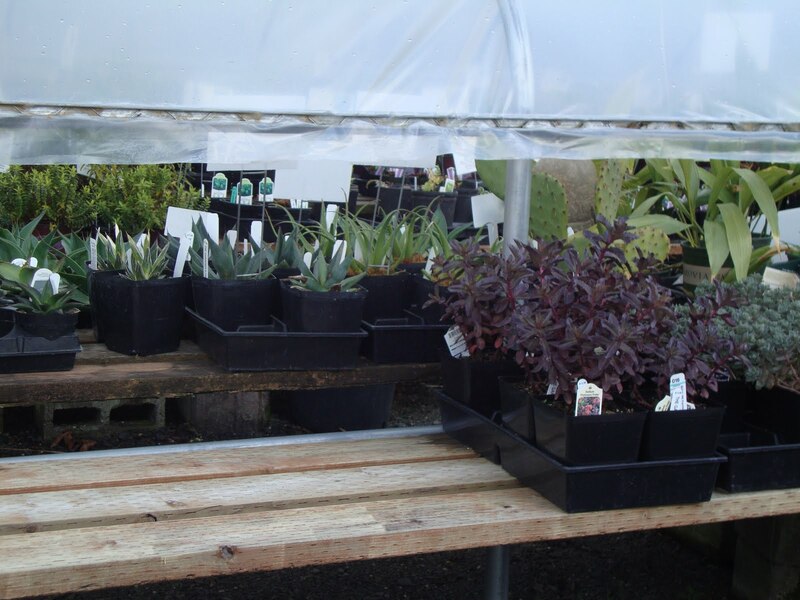 And lots of pansies, violas and dusty miller. 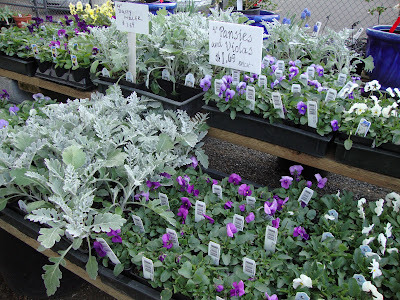 Now it’s true I did post about a particular dusty miller that caught my eye last fall. But I quickly came to my senses and reverted to NOT liking dusty miller and I’ve never understood the appeal of pansies or violas. At least not in the garden, maybe as a spring lapel decoration on a 7-year old girl but that’s it. 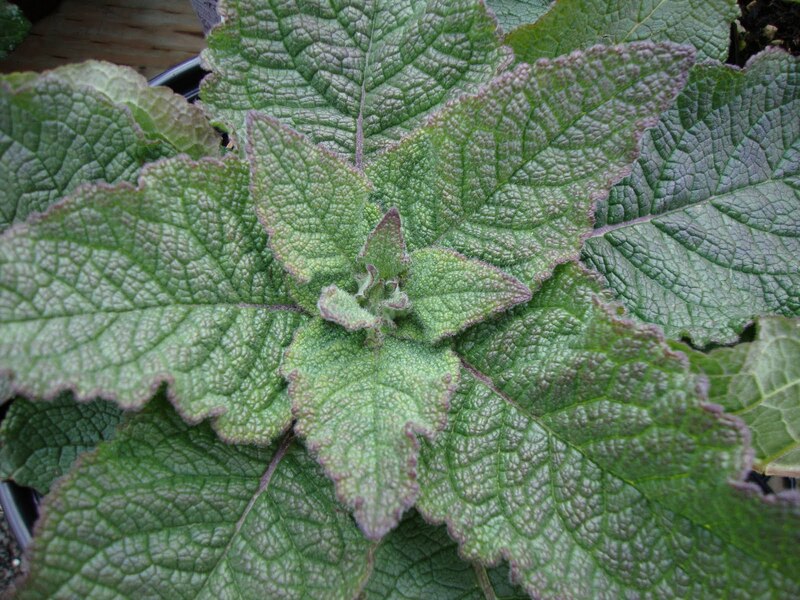 The large leaves and deep color on this Verbascum Pandora tempted me. They had a great selection of interesting groundcovers, like this Sedum confusum. Is that a great name or what? They had a small well edited selection. And a couple of fine little specimens that needed to join my collection. 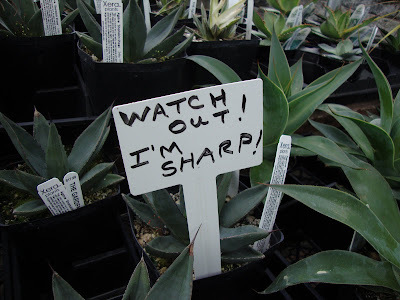 Oh, the spiky people must stick (ha) together! You are a small but growing club. 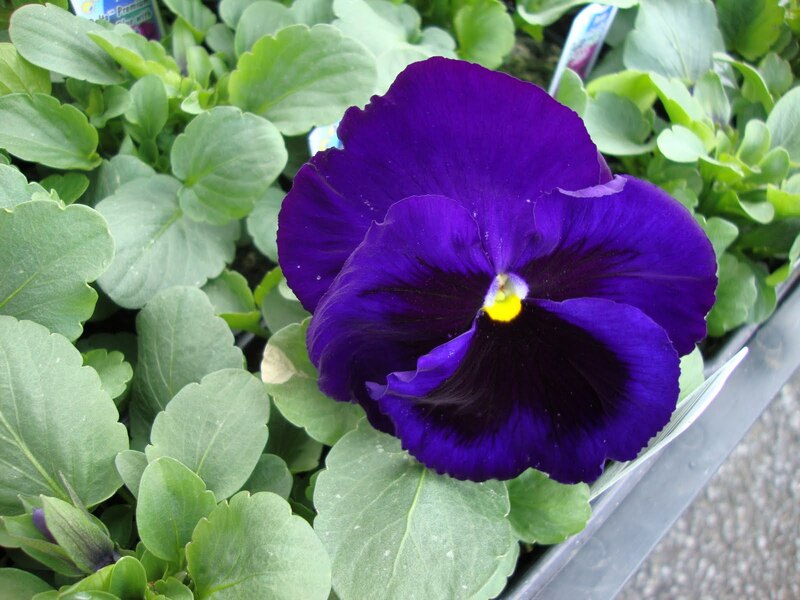 I will cop to liking pansies, I think it is their texture and fragrance more than their look. 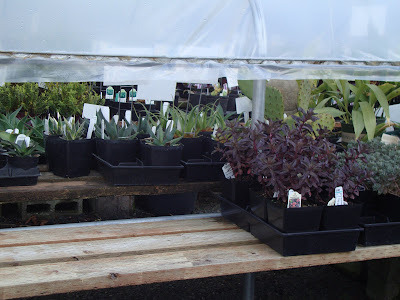 Plus, they re-sow so I never need to plant them anymore. 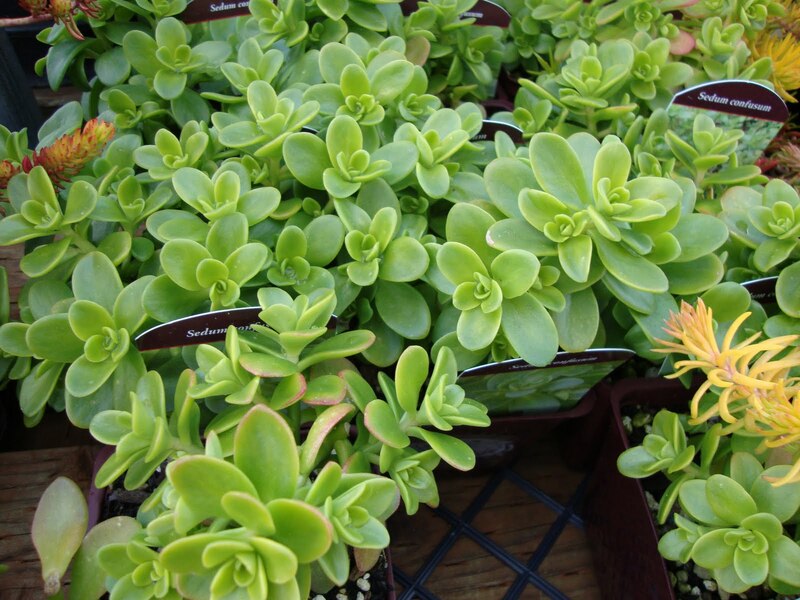 But I agree on dusty miller, ugh. Well I love pansies ;-) And they're actually quite tough - even blooming under the snow. 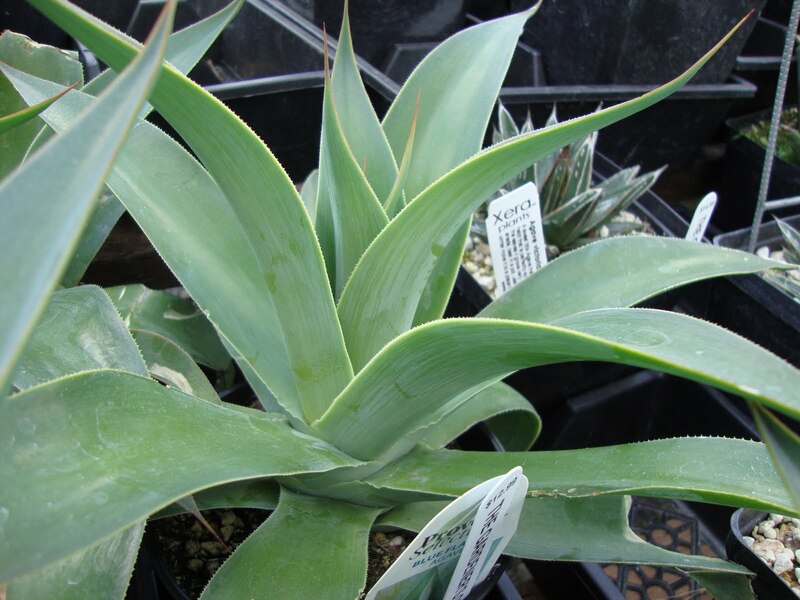 But your agaves and such are growing on me as well. 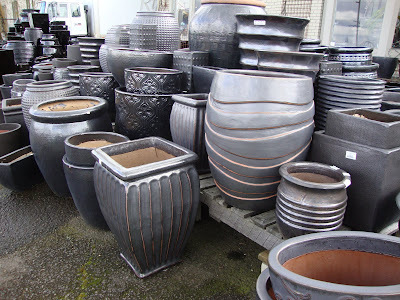 Looks like a fun nursery - what a great selection of pots. Is it wishing for too much that their agaves are inexpensive? I suppose you would have mentioned it if they were. Remember a few years ago when there was not an agave to be found, or maybe a single gallon pot for $100 bucks? Now here I am hoping for bargains - I'm an ingrate. I love your humor! Great post. Looks like a wonderful place to shop! 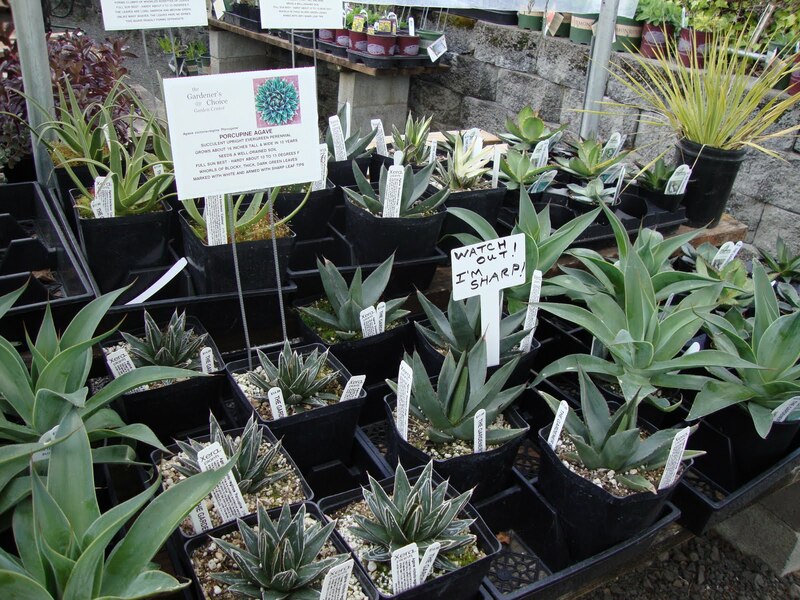 I bought some of my first trees and shrubs at Gardener's Choice. Didn't have any idea what I was doing. They were very nice, though the Sango Kaku delivered wasn't the one I'd selected--and I've always pined for my original choice. 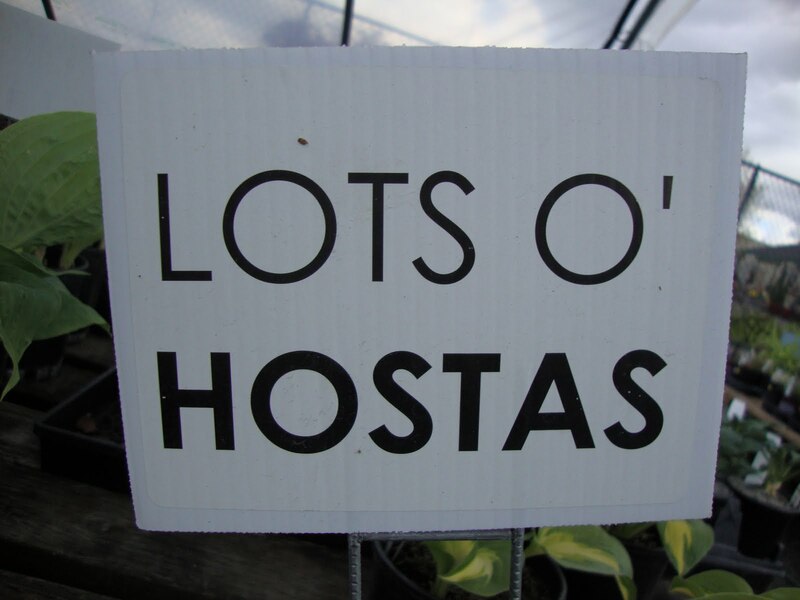 (Some unfortunate watering issue on their end.) I don't remember if they had exotics back then. 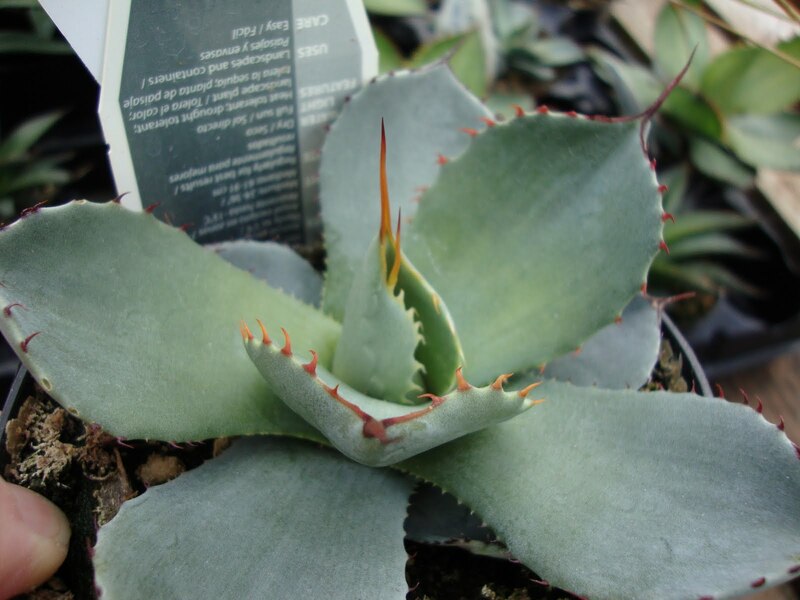 Of course, I wouldn't have known agave from sedum. Grace, I just found a cute pair of swim goggles at my nephews...I tried to get him to put them on so I could take a picture, explaining the whole sharp plant thing to him. At 3.5 yrs he just didn't get it. 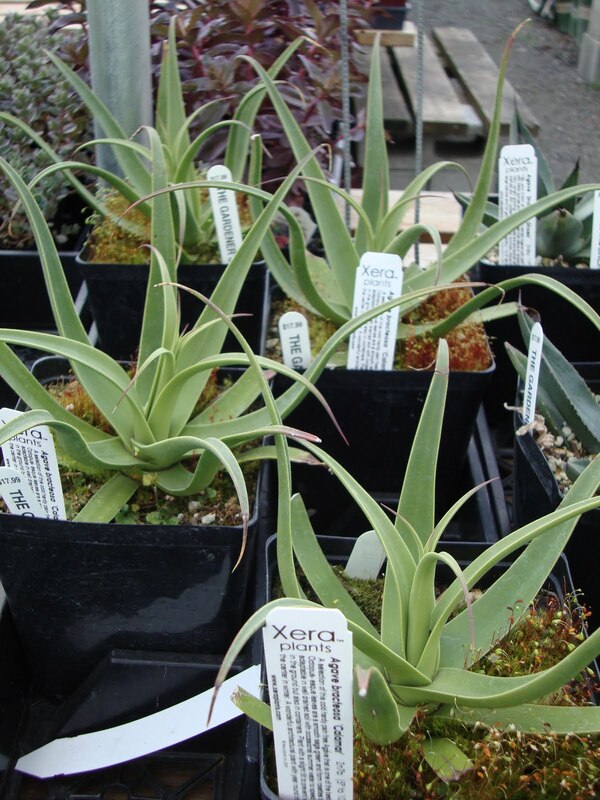 VW, I bought my mom (in Spokane) a couple of cold hardy agaves for mothers day last year...they didn't make it. Are you considering the purchase??? Bangchik...there really were SO MANY! Laura, thanks...it was a fun visit. Patricia, they pulled a switch-a-roo on you!? That's horrible! 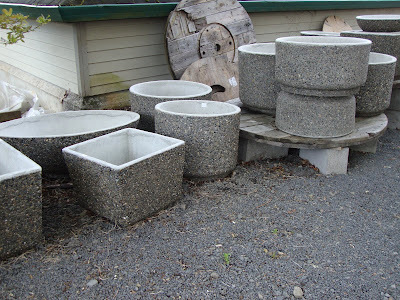 I love garden centres, and I love those stone looking pots - would suit succulents very well. Whoa, Loree ... those pebbled, concrete-looking squarish containers are so great ... at least a few of them would've ended up in the Element!